DAVID STEINDL-RAST was born Franz Kuno Steindl-Rast on July 12, 1926, in Vienna, Austria, and spent his early years there and in a small village in the Alps. He spent all of his teen years under the Nazi occupation, was drafted into the army, but never went to the front lines. He eventually escaped and was hidden by his mother until the occupation ended. After the war, Franz studied art, anthropology, and psychology, receiving an MA from the Vienna Academy of Fine Arts and a PhD from the University of Vienna. In 1952 he followed his family who had emigrated to the United States. In 1953 he joined a newly founded Benedictine community in Elmira, NY, Mount Saviour Monastery, where he became “Brother David.” In 1958/59 Brother David was a Postdoctoral Fellow at Cornell University, where he also became the first Roman Catholic to hold the Thorpe Lectureship, following Bishop J.D.R. Robinson and Paul Tillich. 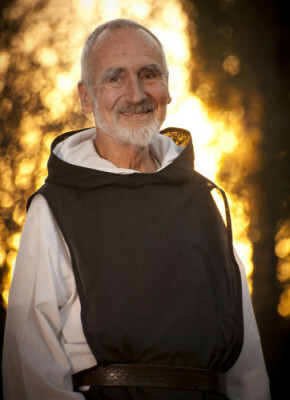 After twelve years of monastic training and studies in philosophy and theology, Brother David was sent by his abbot to participate in Buddhist-Christian dialogue, for which he received Vatican approval in 1967. His Zen teachers were Hakuun Yasutani Roshi, Soen Nakagawa Roshi, Shunryu Suzuki Roshi, and Eido Shimano Roshi. He co-founded the Center for Spiritual Studies in 1968 and received the 1975 Martin Buber Award for his achievements in building bridges between religious traditions. Brother David has contributed chapters or interviews to well over 30 books. An article by Brother David was included in The Best Spiritual Writing, 1998. His many audio and videotapes are widely distributed. The video above (14:04) is an encapsulation of Br. David’s life from his birth in Vienna, Austria in 1926 through the birth of A Network for Grateful Living in the U.S. in 2000. It was put together and presented by Margaret Wakeley (Program & Community Relations Coordinator for A Network for Grateful Living). An extensive collection of Brother David’s archives are now permanently housed at the Special Collections and University Archives: UMass Amherst Libraries. The collection includes Brother David’s extensive published and unpublished writings, sermons, memoirs, personal journals, correspondence, photographs, recordings, and videos of his teachings. His papers extend back to his youth in Vienna, documenting his childhood and experience during the war, including a complete run of Die Goldene Wagen, the children’s magazine published by Brother David’s mother Elisabeth Rast.